Yoga, dancing and decorating pumpkins are fun to begin with, but imagine doing them outdoors at the historic Dallas Farmers Market with free snacks, spa water, a DJ, and a chance to win cool prizes like a Villy custom bike or an Apple watch. 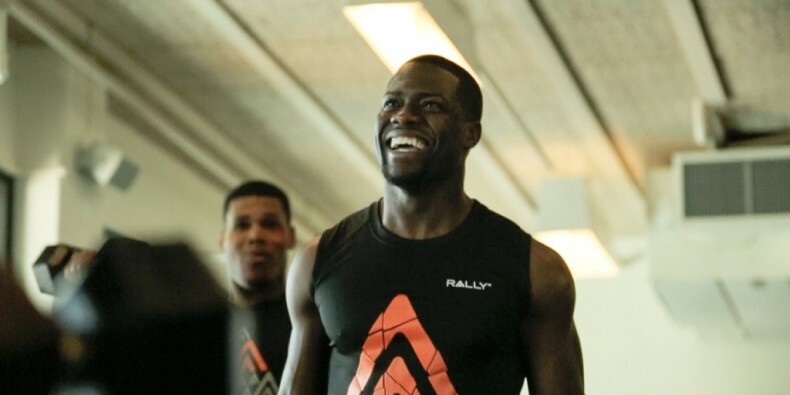 Then mix in actor and comedian Kevin Hart, who will be on hand to show off his hilarious Zumba moves and pose for some group selfies, and you’re definitely in for a good time at the Rally Health Fair next weekend. It all takes place on Saturday, October 10 starting at 8 am. We’ll have classes and activities for kids and grownups all day, from rock climbing and cycling classes to a workout session with some top trainers. Hart is on a mission to make being healthy cool, which makes him a perfect partner for Rally Health, a digital health company that gives people the tools and information they need to better manage their health and wellness. Rally is a big believer in how small steps can make big changes in your health, and we make it easier for you to choose a medical plan, find a doctor, and take better care of yourself. We also help you move more and eat better, and track your progress so you can earn rewards along the way. A fitness fanatic who never misses a workout, Hart spent the summer popping up at impromptu 5K runs while visiting cities around the country on his “What Now?” comedy tour. He encouraged thousands of fans and fitness buffs to get up early and run with him through the streets of San Francisco, Boston,Washington, DC and his hometown Philadelphia. He’s the kind of guy who sticks around to high-five everyone who crosses the finish line, so you know he’ll be loads of fun at the Rally Health Fair. The Rally Health Fair with Kevin Hart is 8 am – 5 pm at the Dallas Farmers Market, 1010 South Pearl Expressway, Dallas. For more information, visit our Rally Health Fair page.